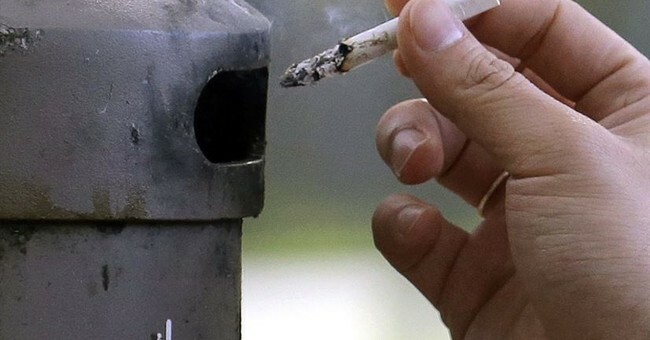 This year, voters in two states—Montana and South Dakota—will determine whether additional revenue should be collected from cigarette sales to fund programs other than cessation. This revenue would be generated from tobacco taxes, which are often marketed as “feel-good” measures, but are actually highly regressive and disproportionately impact lower-income people. In 2018, the Pew Charitable Trust revealed that approximately one in four adults living below the poverty line smokes. Furthermore, uninsured Americans and Medicaid recipients “smoke at rates more than double those for adults with private health insurance or Medicare,” according to the Centers for Disease Control and Prevention (CDC). This year, Montana is considering a cigarette tax hike that would eliminate the state’s 2019 sunset date for its Medicaid expansion. The tax bill would impose a “$2.00 increase per pack of cigarettes,” increase the tax rate on snuff and other tobacco products, and implement a new tax on e-cigarette and vaping devices. This tax hike could exacerbate one of Montana’s pressing problems: cigarette smuggling. In 2015, the Treasure State ranked 11th in the nation for cigarette smuggling, much higher than neighboring states, including Idaho, North Dakota, and Wyoming, which ranked 46th, 38th, and 42nd, respectively, according to the Tax Foundation. Most problematic is the backward nature of the proposal funding Medicaid while taxing e-cigarettes, which can alleviate Medicaid spending. The R Street Institute found that Medicaid savings “will be approximately $2.8 billion per 1 percent of enrollees” over the next 25 years if one percent of Medicaid recipients switched from smoking to e-cigarettes. A larger analysis by State Budget Solutions determined that if all Medicaid recipients would have switched to e-cigarettes from traditional cigarettes, Medicaid savings could have amounted to $48 billion by 2012. Although Montana’s proposed tobacco tax hike devotes little revenue to prevention and cessation efforts, South Dakota’s proposed tobacco tax does nothing of the sort. In fact, South Dakota’s ballot initiative deposits the additional tax revenues into “the postsecondary technical institute tuition reduction workforce training fund.” Even worse, any surplus revenue will be placed into the state’s general fund. Under Mount Rushmore State law, the first $30 million collected by tobacco taxes must be deposited into the state’s general fund. The next $5 million is deposited into the Tobacco Prevention and Reduction Trust Fund. If South Dakota wants to reduce college costs gone wild, as addressed by the ballot measure’s author, it should reform higher education policies—not punish cigarette smokers. One such reform would be amending a 2015 law that allows the Mount Rushmore State to revoke driver’s licenses due to unpaid tuition bills. The New York Times found that by October 2017, South Dakota had blocked licenses from “1,550 people with educational debt.” Because the Mount Rushmore State has little public transportation, this is especially burdensome to South Dakotans struggling with student loans. In short, states should refrain from relying on unreliable cigarette revenue for non-tobacco-related funding. Additionally, no state should impose taxes on e-cigarettes and vaping devices. The decision to use cigarette taxes to support unsustainable state budgets is a short-sighted solution that will create even greater problems down the road. Hopefully Montana and South Dakota voters will see through this shady political ploy and vote against the proposed tobacco taxes.